Several weeks ago I did an assignment for Project 52, which was to be a shot of a perfume bottle. Turns out that getting even an empty perfume bottle without buying one is not easy. The mall stores would not give me an empty tester and Kathi does not use perfume. I had looked at quite a few different bottles and originally had an idea for another bottle, but it was about $175 a bottle and I could not bring myself to throw away that much money. So Kathi and I wandered around the Stoneridge Mall and found a small store called “Fine Perfumes MK”. 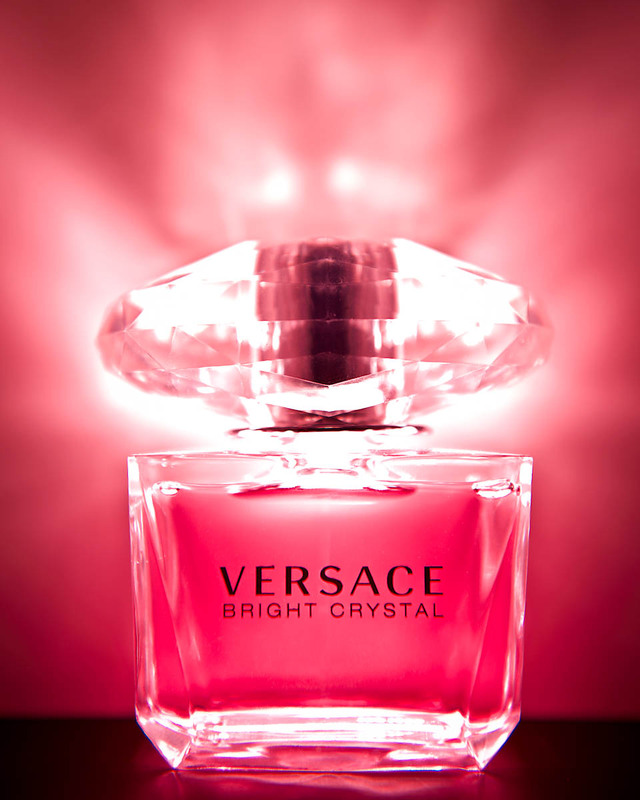 I ended up choosing a Versace perfume bottle that I thought would fit a concept of a bottle that would glow. Marina, the manager, listened to what our project was and said she would sell us one and we could bring it back when done, if we did not ruin the packaging or use the perfume. In return, I said I would bring her a large size print in return for her kindness. …just goes to show that we must follow our passion every day.